A nurturing and restorative at-home treatment MASQUE from our ANTI-AGEING regimen. 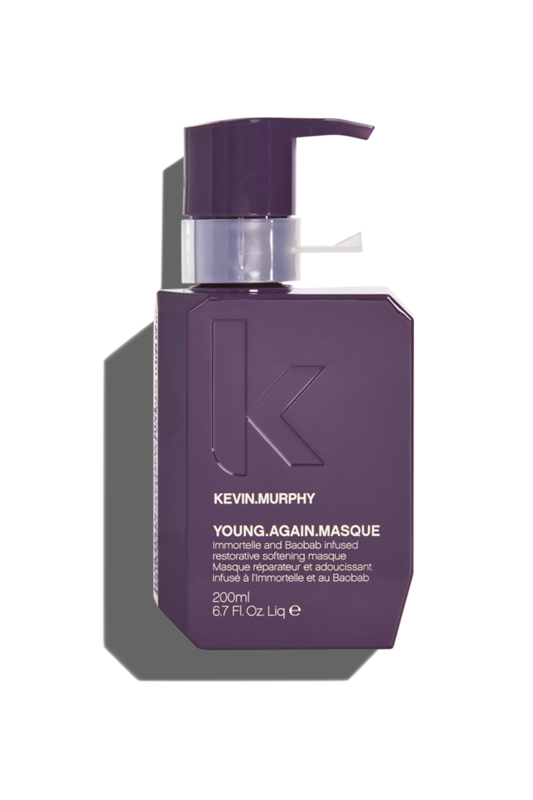 YOUNG.AGAIN.MASQUE delivers deep conditioning to the hair and scalp, leaving hair full of youthful body and bounce. 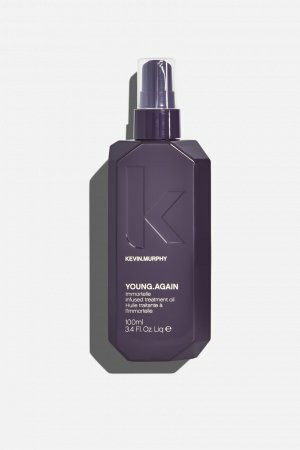 Its restorative blend of Amino Acids, essential oils and rich-moisturisers’ help to restore and renew lustre and shine to dry, damaged, brittle and ageing hair. APPLY. ABSORB. RINSE. Apply to freshly washed hair and massage into hair and scalp for 5 to 10 minutes to fully absorb the benefits, follow with a refreshing rinse. For optimal results, use after washing with YOUNG.AGAIN.WASH, and as part of our ANTI-AGEING regimen. Lotus Flower Extract, known for its highly soothing emollient qualities helps leave the hair feeling soft and supple. Known for its ability to withstand the harshest of climates, Orchid Flower Extract is rich in nourishing proteins that help to reinforce and strengthen the hair, while imparting intense hydration, softness and elasticity. Adansonia Digitata (Baobab) Seed Oil, a ‘Superfood’ from Africa packed with nutritional goodness helps repair damaged hair, increases hair strength, and moisturises dry hair to create greater manageability and all-over softness. Containing all 8 essential Amino Acids, Hydrolysed Quinoa Protein b deliverS essential moisture and deep repair. Helps provide a protective barrier and boosts shine. A native plant from the island of Corsica, Helichrysum Italicum (Immortelle) Extract is renowned for its anti-ageing benefits. Alongside its beneficial soothing properties, it also helps to strengthen and repair the hair. 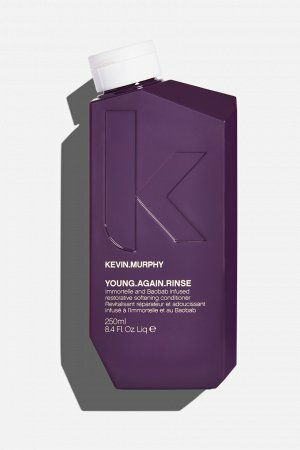 Used together as part of our ANTI-AGEING regimen, YOUNG.AGAIN.WASH, RINSE and MASQUE are your must-have helpers in the fight against ageing and damage to the hair. Hormonal changes, lifestyle changes – there are so many changes that can have an adverse effect on the hair’s condition…the best way to stay ahead of the ageing game is to start early! Our ANTI-AGEING regimen will nurture the hair while combating current damage and will also help in the prevention of future damage.